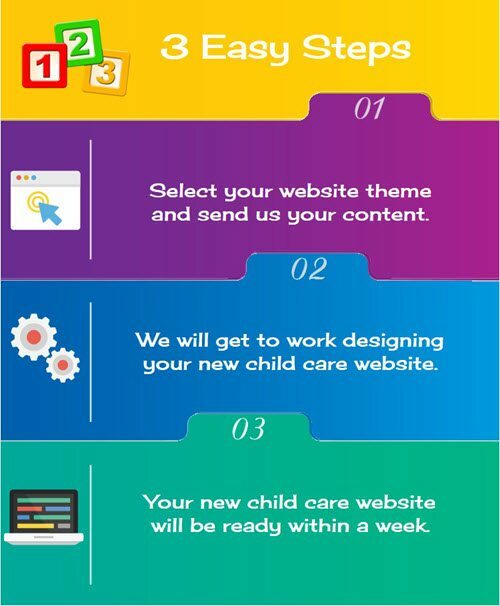 Child Care Websites Made Easy! All designed to provide your child care business with a professional internet presence that attracts, informs and turns parents into happy clients. Relax – we’ve got you covered! We know this “web stuff” can be pretty confusing. So, we are here to help you every step of the way. If you are like most of our clients, you do not have time to design a website and keep it up-to-date. The good news – Child Care Owner takes care of EVERYTHING from design to adding your content and ongoing monthly maintenance.